The iTel P13 is targeted at folks who want a smartphone with durable battery, but aren’t ready to spend much. As such, with just 512 MB of RAM and 8 GB internal storage, the device is loaded with a large 4000mAh battery. Although the itel P13 plus has 1 GB RAM. The display on the iTel P13 is a 5.5-inch FullView display. In the heart, there’s a Quad-core CPU clocked at 1.3GHz, along with Mali-400MP2. 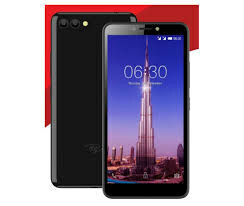 Photography is handled by a dual 5 + 5-megapixel at the back, and just 2MP upfront Other specifications of the iTel P13 includes Android 8.1 Oreo (Go edition) FaceID and an expandable storage up to 32GB.